I recently spent a tantalisingly short amount of time in what has to be one of the best countries I have ever had the pleasure of visiting. 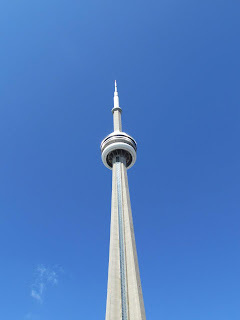 The bulk of my holiday was in and around the USA, but our meanderings did take us north of the border, to witness the crushing might of Niagara Falls and the modestly bustling streets of Toronto. 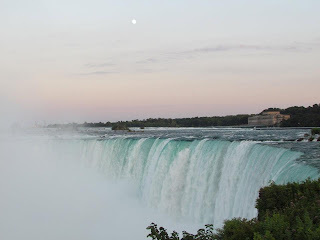 It wasn’t long after we had crossed the Rainbow Bridge into Canada that I realised that I had already (and excuse the cliché, but I’m going with it) fell in love with the place. 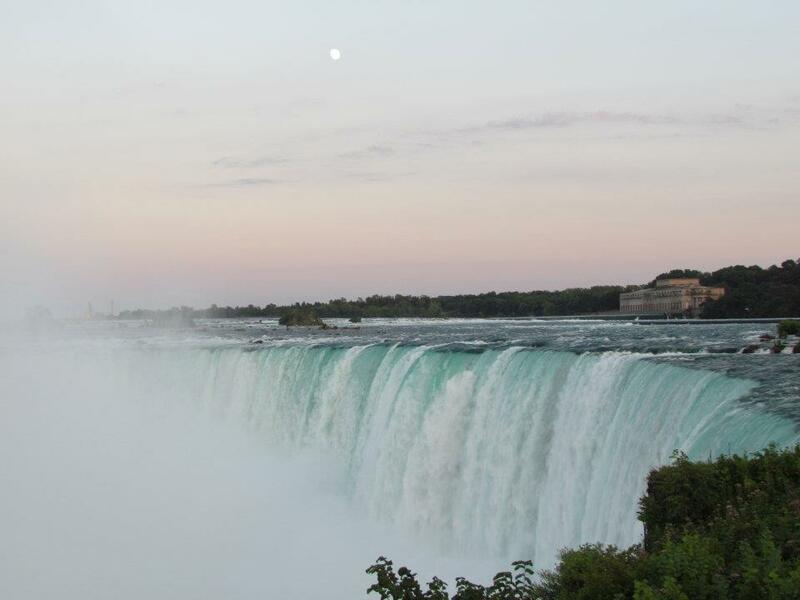 The first sensation that hits you when you come into Canada this way is the anticipation to see the Falls. You can catch a glimpse of them from the Bridge; you can hear them; you can smell them; and you can see the pillar of mist rising from the turbulent pool of that froths and churns under the constant bombardment of water. When you finally get to it (and you can’t get there fast enough), you are not disappointed. Despite the glorious blue sky, you are sodden by the mist, and through squinting eyes you can see one of Nature’s wonders. The immense power of the waterfall is hard to comprehend, and all of the impressively large statistics the park wardens tell you are somewhat alien and can fail to hit home in their extravagance. One of the best things about Canada is its natural beauty. As well as the Falls and Great Lakes, it is scattered by a variation of environments and wildlife, from arctic conditions to bears feasting on salmon in rivers. Unfortunately, I did not get to see either of these spectacles due to my hugging the border like a mollusc. But they are on that ‘to do’ list that is ever-expanding. My glimpse of city-life in Canada was also unique. Gone is my stereotype of a city, fed by those of Europe and America, of polluted, dirty concrete cancers. 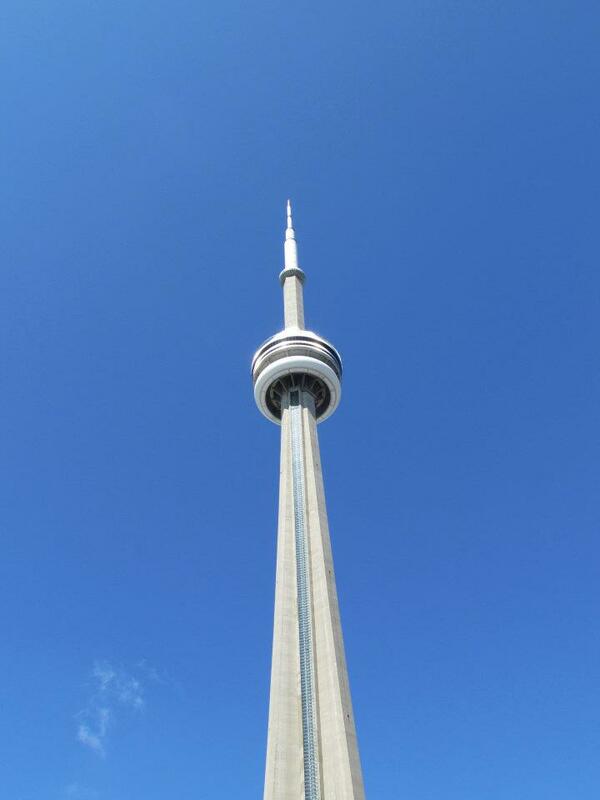 Toronto is clean, safe, relatively quiet, multicultural and nice. Yes, the people are friendly! They will take time out of their busy working lives to help those obvious, oblivious tourists holding maps on street corners to help, even without you asking. One man actually offered to take me to my evasive destination, which in the end happened to be a thirty minute walk away. Its tram system and underground walkways help Toronto from becoming an impossibly bustling, stuffy and uncomfortable city. And, I suspect, its beautiful setting on the shores of Lake Ontario may also add to this effect. If you have had enough of my ramblings about my experiences, don’t just take my word for it. The United Nations has ranked Canada the best place to live for five consecutive years. These surveys are based on crime rates, educational opportunities, life expectancy, quality of life, and unemployment. Of course, the chances of me ever actually migrating to Canada are slim. It is one of those ambitions in life that, no matter how much you think it is a good idea, you never quite muster the courage, resources or resoluteness to do it. Many of us have harboured such ambitions in the past, but they often fizzle away and are replaced by other, usually more achievable, desires. However, my little taste of Canada leaves me eager to take another much larger bite. I want to explore away from the border, and see the bears, the ice and the friendly Canadian-ness of places like Montreal, Quebec and Vancouver.